Sterling Silver. Length 6.5cm x 1 cm (widest point). 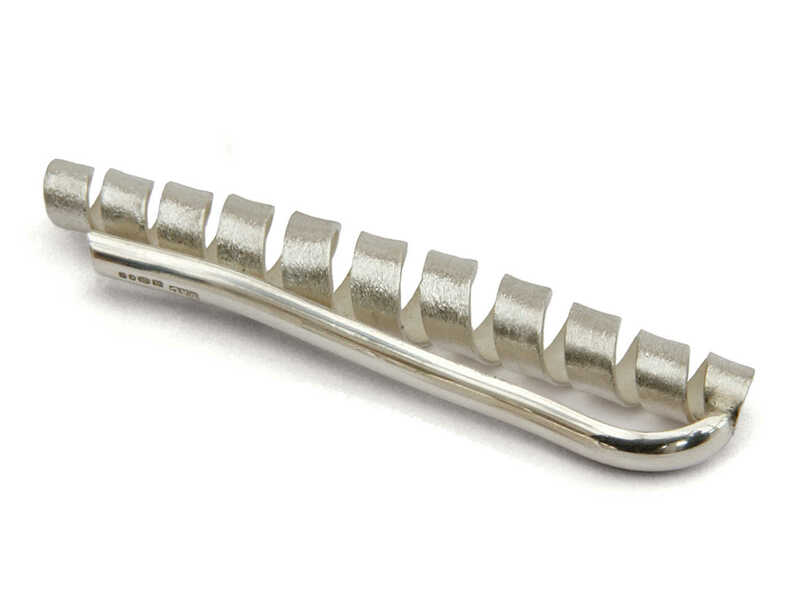 Contemporary tie pin 'with a twist' combining textured (matt) and polished silver finishes.